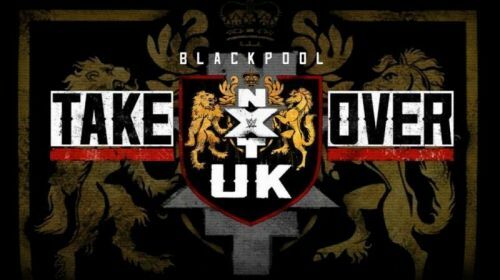 NXT UK TakeOver: Blackpool was held on January 12, 2019 at the Empress Ballroom in Blackpool. This event has not only been the first pay per view of WWE in 2019, but also it will be the first of many editions of the British brand of NXT. On this occasion, the three NXT UK titles were in dispute. First, we saw the coronation of James Drake & Zack Gibson (best known on the independent circuit as 'Grizzled Young Veterans') as the first NXT UK Tag Team Champions. Then, we saw Toni Storm become the new NXT UK Women's champion. Finally, Pete Dunne successfully defended his title for the nineteenth time after defeating Joe Coffey. This show not only had spectacular matches, but also two appearances that caused surprise and astonishment to all the spectators. First, we saw the appearance of Finn Bálor, who appeared to face Jordan Devlin, a wrestler whom he knows very well since he trained him from his beginnings in Ireland. Devlin had attacked and injured Travis Banks, who was his rival for that night. Johnny Saint, general manager of NXT UK, and his assistant warned Devlin that he would face a new challenge due to his actions. That challenge was nothing more and nothing less than the first WWE Universal Champion. The second surprise of the night occurred at the end of the show. After the successful defense of Pete Dunne, the 'Bruiserweight' was celebrating when the music of Walter began to sound. The Austrian giant entered the ring and looked defiantly at the WWE United Kingdom Champion. Joe Coffey, who re-entered the ring, received a big boot from Walter. Everything seems to indicate that Pete Dunne vs. Walter will be the main event of the next edition of NXT UK TakeOver. In a show of this magnitude, almost all the matches were up to the circumstances, but only a few will be remembered over the months. Here are the five three matches of NXT Uk TakeOver: Blackpool. 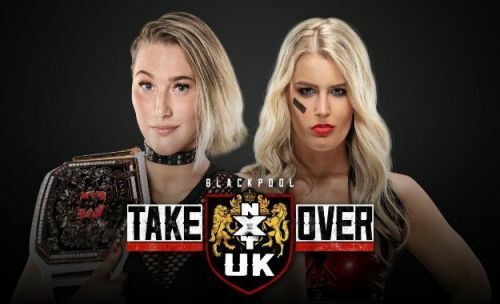 In the fourth match of the night, we saw the victory of Toni Storm on Rhea Ripley. In this way, the winner of the Mae Young Classic 2018 got the NXT UK Women's Championship for the first time. The match, that lasted 14 minutes and 50 seconds, went from less to more from the start. Storm showed great capacity of resistance and strength. Proof of this was the execution of three German Suplexes in a row and a Suicide Dive at the beginning of the match. Ripley was no less and executed impeccable moves like Vertical Suplex, Body Slam and the Riptide (Pumphandle Powerbomb). After successive lariats by Ripley, Storm responded with a headbutt and two Strong Zeros in a row that gave her finally the victory.